According to the National Institutes of Health, more than 65 percent of American adults are overweight or obese. The obesity rate has been climbing steadily over the last several years. Carrying extra weight increases the chances of developing serious health problems, such as heart disease, stroke, certain kinds of cancers, as well as diabetes. The incidence of Type 2 diabetes in our country is increasing also, in correlation with the rise in obesity. The American Diabetes Association estimates about 21 million people have diabetes, with another 54 million people diagnosed with pre-diabetes. Pre-diabetes is a condition in which fasting blood glucose levels are elevated, but not yet to the level indicated for Type 2 diabetes. Studies have shown that it can make a big difference if people work to lose only 5 to 7 percent of their body weight. For many people, this works out to about 7 to 10 pounds. Even if someone already has diabetes, losing a moderate amount of weight can dramatically slow the progression of the disease. Blood pressure and cholesterol levels also benefit when just this small percentage of body weight is lost. It's not just how much people weigh, but also where they carry the weight, that put them at greater risk for health problems. People who carry more weight around their waist -- an "apple-shape" -- are more likely to suffer from obesity related problems than someone who is "pear-shaped," or carries more weight in their hips and thighs. Type 2 diabetes is associated with insulin resistance. Insulin is an important hormone that delivers glucose (sugar) to our cells. When a person is overweight, the cells in the body become less sensitive to the insulin that is released from the pancreas. There is some evidence that fat cells are more resistant to insulin than muscle cells. If a person has more fat cells than muscle cells, then the insulin becomes less effective overall, and glucose remains circulating in the blood instead of being taken in to the cells to be used as energy. 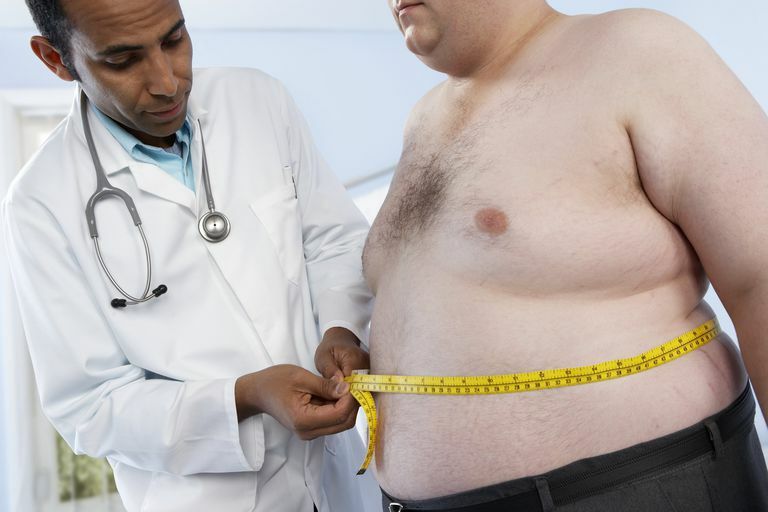 Other health risks associated with being overweight or obese include: gall bladder problems, certain types of arthritis, GERD (gastroesophageal reflux disease), pulmonary diseases such as sleep apnea, or diseases of the liver. The scales are certainly tipped in favor of losing weight and living a healthy lifestyle. So many serious diseases can be prevented or at least delayed by moving towards a more normal weight.